« Dress Update! From Urban Outfitters. Chained To Boots… Ankle Boots, that is! 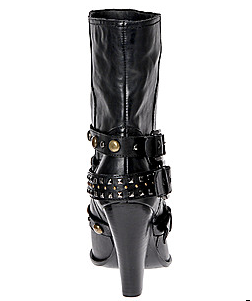 I know I have been slightly obsessive about posting boots lately. It’s pretty much my latest obsession – yeah. Shoes. I feel like I’ve turned into Carrie Bradshaw or something. I’d actually rather prefer a nice pair of heels or boots than a fancy dinner. And these are my latest craze… they are on sale, of course. But, here’s to hoping they’ll go on sale even more. They are called Melokonian by Aldo. This entry was posted on	January 24, 2010 at 12:50 pm	and is filed under shoes.